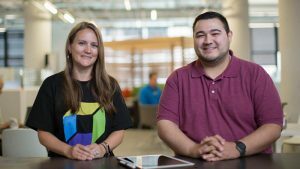 PayPal and BARBRI create the next generation of IT: Perform 2018 rewind. 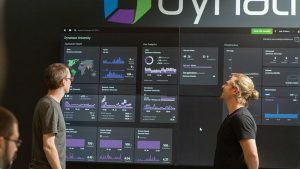 One of the recurring themes we heard a lot about at Dynatrace Perform this year was the fall of the “monolith.” That is, the idea that the old-school central data hub enterprises used to rely on has now exploded into a variety of different systems: the cloud, the Internet of Things, security, containerization and microservices, to name a few. That has also, understandably, rattled a lot of CIOs’ nerves. But, as Mark Tomlinson, performance engineer at PayPal, and Mark Kaplan, director of IT at BARBRI, pointed out, it really shouldn’t. On the contrary, enterprises should be embracing the end of the monolith as a change for good. That was the subject of their chat with Steve Tack, our SVP of product management, at the Perform 2018 mainstage. One of the biggest pieces of news Dynatrace launched from Perform 2018 was our new CIO survey, which found that, among 800 CIOs worldwide, three-quarters believe growing IT complexity is making it impossible to manage user performance effectively. Naturally, you might expect the end of the monolith would only drive that IT complexity and anxiety trend even more. But, as Mark Tomlinson put it, it’s just the opposite. While the explosion of systems coming out of the monolith is creating a more fragmented, diverse and complex IT landscape, it’s also empowering IT with more autonomy than before. Because bringing down the monolith also means phasing out the “guru.” Just about every IT has one, that one person who knows it all, has seen it all, and has a solution in their back pocket for seemingly every problem. The idea of getting rid of these gurus can be scary, because suddenly IT doesn’t have that one reliable bedrock person anymore. And, that’s a good thing. As Mark Kaplan noted, you don’t want just one person to know everything; you want everyone in IT to know everything. Mark Tomlinson added that, as the older team models of gurus and monoliths disappear, the guru’s value will also change. Instead of being the one person that everything runs through, the role of the guru will be to teach younger IT teams, helping them learn to innovate faster and steer away from rebuilding monoliths. This shift has given IT at companies like PayPal more leeway in showing what they can do when they can innovate away from the monolith model. 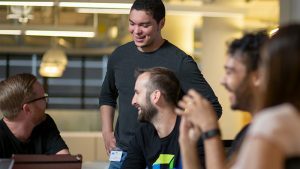 From having the freedom to create new guidelines, new prescriptions for DevOps and new KPIs, IT teams can now find new opportunities to create business value. Mark Kaplan also talked about how IT complexity is actually helping to drive out monoliths. Because when we talk about “complexity,” what we really mean is the introduction of new systems and technologies – the very same things that are making legacy tech irrelevant. That new technology isn’t even necessarily complex on its own, it’s just something new the team has to learn and figure out. He reminded us that this same trend is reflected in the makeup of the IT team. When the gurus leave, or see their roles diminished, the rest of the team steps up to fill in the gap. Many of these team members may have previously felt overshadowed by the guru; now, they want to learn more, work as a group and become the key players that they didn’t have the chance to be before. After all, these people have their own expectations of what they can do and want to deliver – with the guru out of the picture, the rest of IT can now finally live up to their own expectations and potential. Mark Tomlinson coined this the ‘democratization of information’: without a single guru dominating IT, other team members can now offer new perspectives and make connections that the guru previously hadn’t seen. 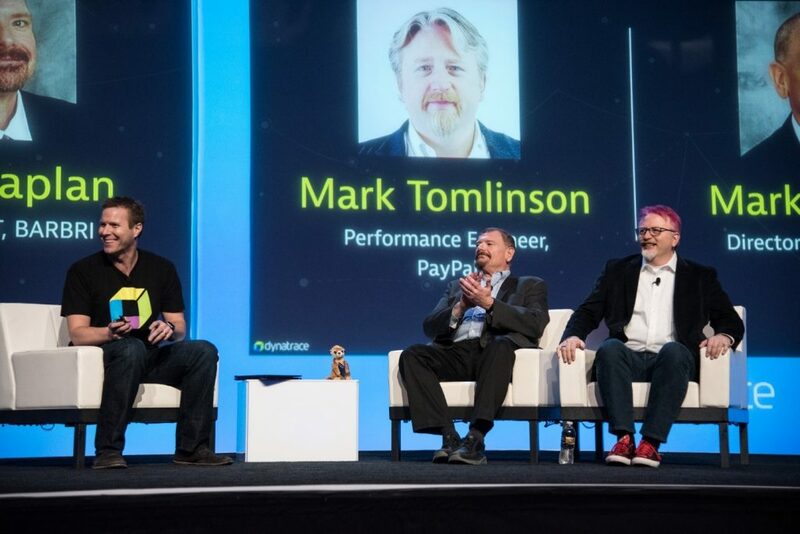 You can check out Mark and Mark’s full conversation on mainstage, along with many more videos and presentations from the show, by signing up for the Perform 2018 highlights.